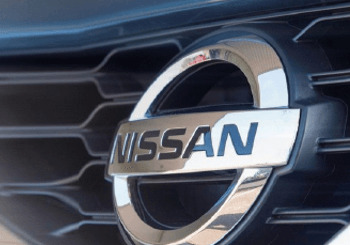 Nissan is notorious for designing and creating award winning cars, and at the recent 2015 Carbuyer Awards they added two more impressive titles to their list of achievements. The honour went to the multi-award winning Qashqai which was named ‘Best SUV and 4x4’, and the Note which took home the award in the ‘Best car for under £150 a month’ category. All models were selected by the panel of motoring experts at Carbuyer, who assessed various aspects of what each model has to offer before determining the winners. The areas judged included running costs, reliability, practicality and how appealing the car is to new car buyers. Stuart Milne, Editor of Carbuyer said, "The Nissan Qashqai is a comfortable SUV but it's no more expensive to run or harder to drive than a hatchback. It's no surprise that the Qashqai is one of Britain's most popular cars." Both the Qashqai’s reviews and sales figures reflect its popularity, with sales reaching a record breaking two million last year. The record number was achieved in just eight years, beating other popular models such as the Ford Fiesta and the BMW Mini. The model has won a number of other prestigious awards, including the NCAP’s Safest Small Family Car of 2014 and Best Crossover awarded by Auto Express. The model has also been named as What Car’s Best Small SUV for two years running. The Note offers practicality, excellent value for money and is an economically friendly car. The model provides a copious amount of space and in car features for its price range, which is a lot more then what other cars have to offer in the competitive compact car market. Carbuyer Stuart Milne commented on the Note saying, "There are cheaper cars out there but none offers as much space, comfort and equipment as the Nissan Note. And all for less than £150 a month." If you’re interested in finding out more about the Qashqai or Note browse our selection of Nissan cars online or contact your local dealership to book a test drive.